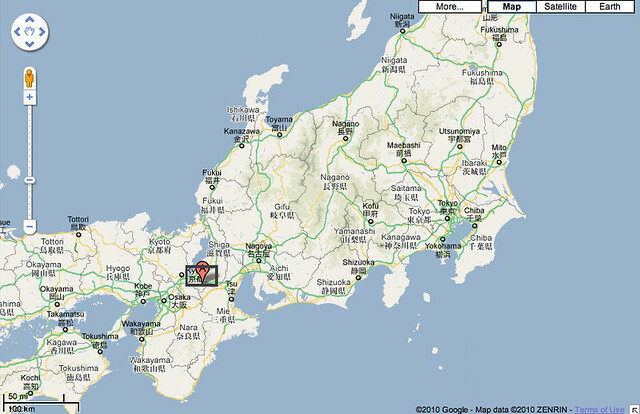 If you are not acquainted with Houko, read this edgy story first. 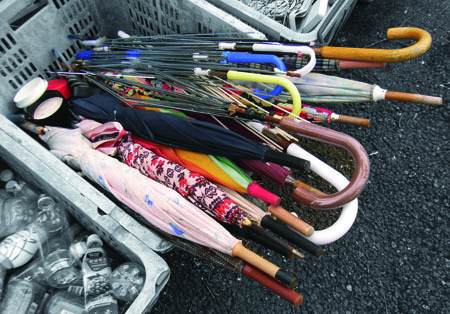 Houko Inoue, an eco-designer who utilizes "lost" umbrellas to create magnificent products -- also known as CASA Project--, is conducting a very interesting installation-like exhibition. 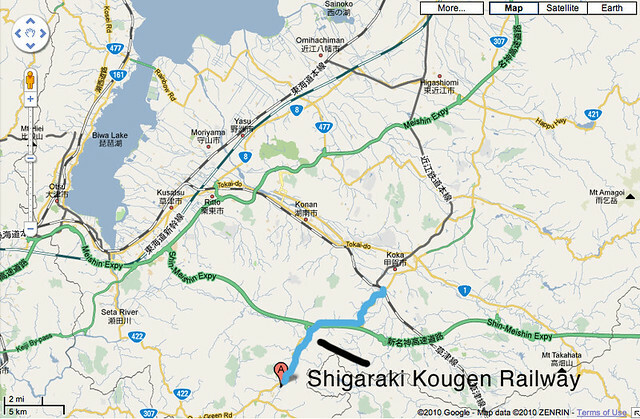 On an active train car. 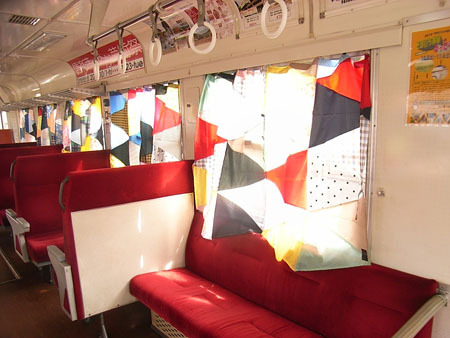 Houko used to collect lost umbrellas from Shigaraki Kougen Railway's stations for her creative works, and one time, Houko proposed an idea of installing her umbrella works on a train. The company liked the idea and this unique collaborative project began immediately. The company spent 3 months, from July to September, collecting the umbrells and Houko later spent 1 month to disassemble them to create new product -- curtains. 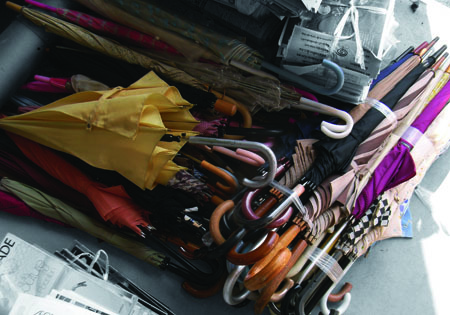 The total of 80 umbrellas were used. 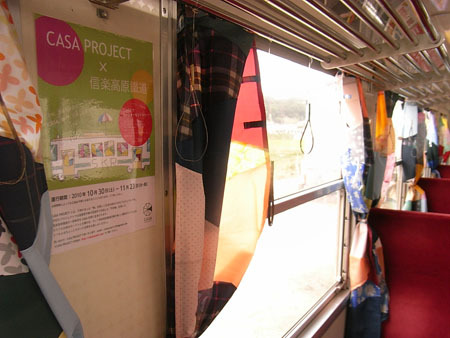 Currently, 1 of 3 cars owned by Shigaraki Kougen Railway is decorated and called CASA Train. 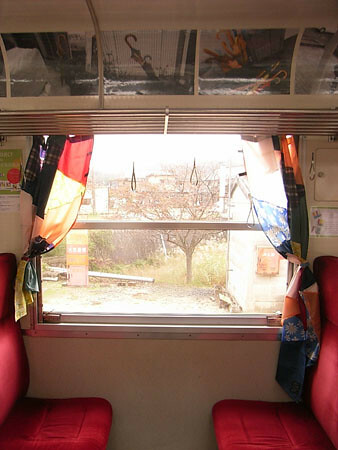 A part of curtain uses transparent cloth of umbrella, allowing a passenger to see through outside. "During the day time, the sun light lights up the colorful cloth, creating very colorful atmosphere. During the night time, the curtain looks like a stained glass."